Centerline Solutions is an Indianapolis owned and operated Information Technology Search Firm that specializes in the placement of IT Infrastructure professionals related to Systems and Network Architecture, Engineering, Administration, Security, and related IT Leadership to the Indiana Marketplace. 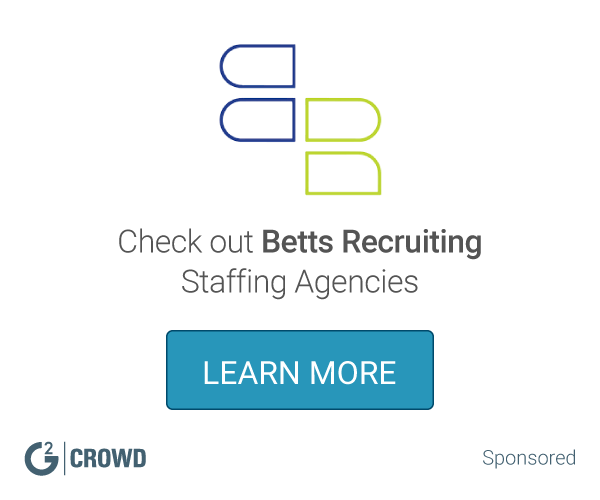 What Staffing Agencies solution do you use? Robert Half is a staffing website that provide skilled professionals in the fields of accounting and finance, technology, legal, creative, marketing, and administration. Matching top talent with the world's most innovative companies. Kelly Service is a platform that offer a comprehensive array of outsourcing and consulting services and staffing on a temporary, temporary-to-hire, and direct-hire basis. BBSI is a leading provider of business management solutions, combining traits from the human resource outsourcing and professional management consulting industries to create an operational platform that differentiates it from competitors. Spherion Staffing Services is a leading recruiting and staffing provider that specializes in placing administrative, clerical, customer service and light industrial candidates in temporary and full-time opportunities. Aerotek is a staffing platform that matches qualified candidates with top companies worldwide, to understand goals, skills and interests to connect with the best job opportunities. Mason Frank is a salesforce recruitment agency that provide skilled permanent and freelance professionals for Salesforce positions. Hire a Recruiter for $999 / month. Vested offers Fractional Recruitment Services to help companies short on time or recruiting expertise. We can be your recruiting function or support an existing team. Vested specializes in identifying, engaging, and sourcing passive talent. We create branded job descriptions to help our customers stand out among their peers. Talent pools are created and we leverage proprietary technology to engage candidates and present them through an intelligence dashboard and ATS integrations. AppleOne Employment Services is a full-service employment company. We view the career seeker as a client and offer total employment resources to our clients no matter where they are in their career. MDI Group focuses exclusively on providing IT Workforce Solutions that help organizations tackle äóÖwhatäó»s nextäó» in terms of emerging technology projects and challenging business objectives. * We monitor all Centerline Solutions reviews to prevent fraudulent reviews and keep review quality high. We do not post reviews by company employees or direct competitors. Validated reviews require the user to submit a screenshot of the product containing their user ID, in order to verify a user is an actual user of the product. Hi there! Are you looking to implement a solution like Centerline Solutions?